Australian Tanks supplies water retention systems, coated spill tanks, pump stations and oil separation tanks into numerous defence sites. 20 x 25,000 litre tanks for the Greenbank Enhanced Land Forces Training Area. 6 x 25,000 litres for the Wide Bay Enhanced Land Forces Training Area. 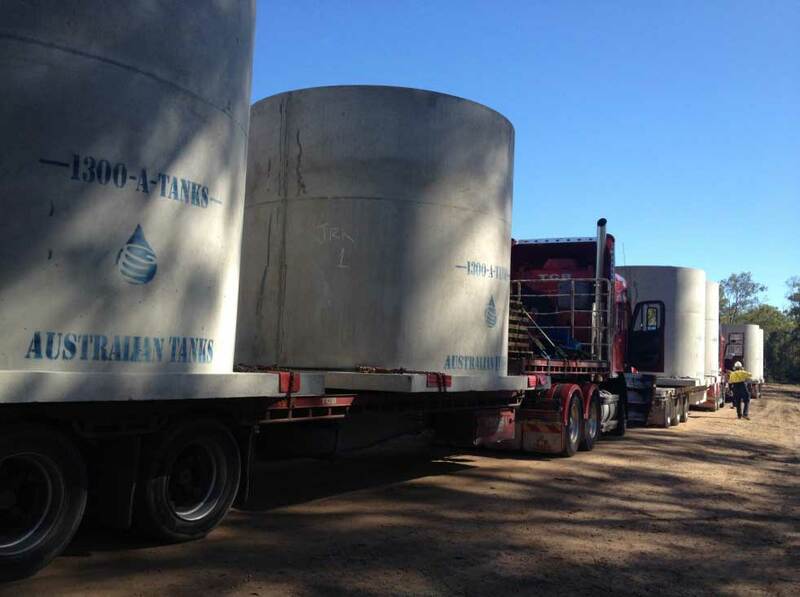 10 x 25,000 litre tanks for the Canungra Enhanced Land Forces Training Area. Australian Tanks have been specified in plans for the RAAF Base Amberley. Four major supply contracts to the Australian Army Enoggera Barracks for redevelopment of a range of rainwater and spill tank solutions including a number of VF6 volume filters in pits. ​John R Keith (Plumbing Contractor and our client) approached Australian Tanks to offer an alternative solution to the more expensive extra heavy duty tank option which was specified in the Hydraulic plans. The original option in the plans also showed (1) a combination of transport cost challenges, (2) requiring additional work to get the initial tanks rated to take heavy traffic loads, and (3) the need to have considerable cover over the tanks to meet Invert Levels for the site.